Beautifully decorated arrow on rough-cut cedar plaque. Includes everything shown. 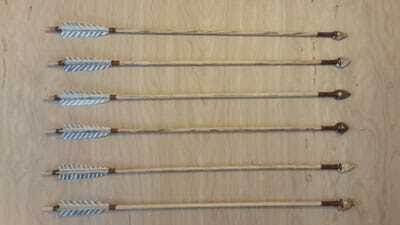 Arrow of Light Arrows - $16 ea. 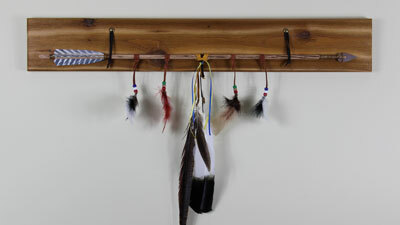 Hand-crafted ceremonial arrow, great for an Arrow of Light award!. 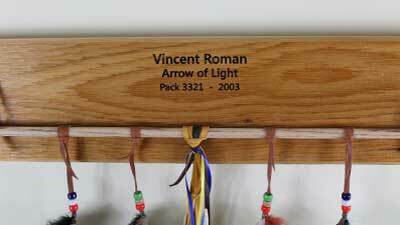 This unique award has a story to tell-- Each feather and bead represents part of the journey of Cub Scouts. Ships in 1 week (or less). 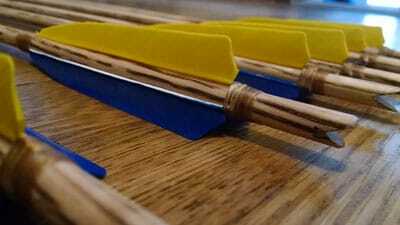 Blue and Gold Arrows - $16 ea. Same great arrows with a colorful twist! Limited quantities!